This genus includes ferns with a clear predilection for humid environments. Only one species is of any great interest to aquarists. 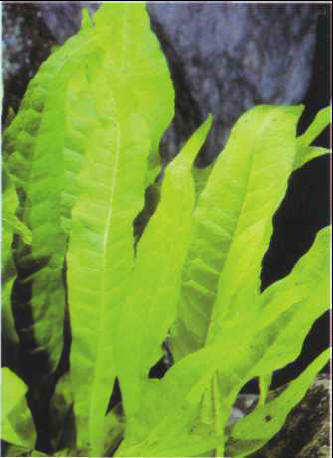 The Javan fern grows slowly, under moderate to intense light, but it is very hardy. Like all ferns, it can reproduce sexually with spores, but vegetative reproduction is much more common in an aquarium. The rhizome can be cut off when young fronds appear, and can attach itself to a support with the help of small roots. This process can be encouraged by wedging the rhizome between stones - taking care not to squash it - or tying it down with a nylon line. Size: 15-20 cm. КРИМИНОЛОГИЯ (от лат . crimen, родительный падеж criminis - преступление и ...логия), наука, изучающая преступность, ее причины, личность преступника, а также разрабатывающая меры предупреждения преступности.